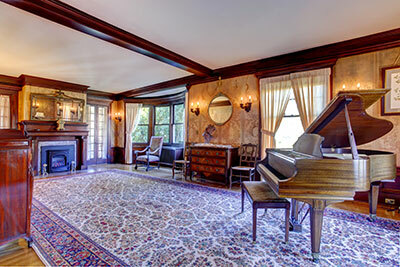 Area rugs are great decorations: they liven up the room and give your feet a soft and comfortable surface to walk on. However, they are prone to having damage displayed out in the open after enough time has passed. Pressure from weighty furniture will cause dents, the fringes will become tangled and your once-lovely rug will begin to look old and dull. Exposure to different elements can also contribute to your rug sustaining damage over time. The swirling dust plays a big part in this, as it collects in your rug’s sleek white strands and makes them dirty and unsightly. To add more threats, sunlight also has a detrimental effect on your rug, eventually bleaching out its colors. To keep your rug in pristine condition, you need to not only clean it regularly but perform repairs when needed. That's our cue: ur team of highly-specialized rug experts is ready to help you out with anything you could need. You can forgo calling us to inspect and repair your rug and instead open some cleaning websites and try doing it yourself. However, this will not only be stressful but also potentially detrimental to your rug. With so many different opinions on rug repair techniques, how do you know which is right? ​What if the wrong technique is used or the process is mediocre and ill-organized? The result will be one big mess and severe stress on your part. At Boca Raton Rug Cleaning Pros, we aim to give our clients a 100% hassle-free service – just contact us and we'll take care of the rest. 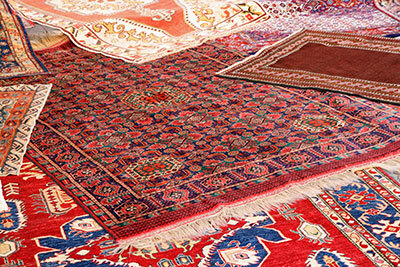 We inspect the rug thoroughly and plan the repairing process very meticulously before starting anything. Our staff operates with a wealth of knowledge, enabling them to understand and incorporate your rug’s details (materials, weaving, colors) into the repairing process. Also, they use the latest high-end tools and equipment that helps them provide flawless service. Indeed, part of what makes our repairs so efficient is that we're always on the lookout for new technology and upgrades to our skill sets. No matter the extent of repairs needed, our staff will work hard to restore your rug to its former state, mending its frayed fringes and cleaning out all the stains while you sit back and relax. All you need to do is make the right choice of leaving your rug in our capable hands – expect to be amazed by the care and intricacy with which we work, as we consider every repair job nothing short of a work of art due to the precision and attention to detail we apply. 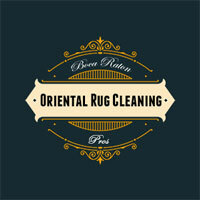 After repairing an area rug, we also look to give it a thorough cleaning. In this, we'll use perfected cleaning methods to remove all the dust, dirt and grime collected in the rug's strands as well as any liquid spills that are undermining its colors. Don’t worry about the various dyes bleeding into each other – we use carefully-picked out solutions to prevent this from happening. Finally, our quality control team will examine the rug and ensure that it is returned to you in mint condition with no dissatisfaction on your part.